Dr. Candace Glenn was born and raised in Orlando, so serving her patients at Mid Florida Dermatology & Plastic Surgery has been a wonderful coming home! Dr. Glenn’s curiosity about medicine began in childhood, while spending time with her father at his veterinary practice. She studied neuropsychology at the University of Miami, and received her BS and MD at the University of Florida, during which time she was inducted into the prestigious medical honor society, Alpha Omega Alpha. Dr. Glenn completed her internship in internal medicine and residency in dermatology at the University of Florida. She was selected to be chief resident—a top honor—allowing her to organize and lead resident and medical student lectures and training. Dr. Glenn is a Fellow of the American Academy of Dermatology (FAAD) and is board-certified by the American Board of Dermatology. 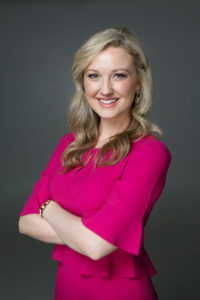 She has authored multiple publications in top peer-reviewed dermatology and dermatologic surgery journals and has been invited to speak and present her research at several national medical conferences. Aside from loving her medical and surgical dermatology practice, she also has added focus and passion for cosmetic and laser treatments. She emphasizes that her aesthetic goals are natural preservation and rejuvenation and in helping her patients look as great as they feel!